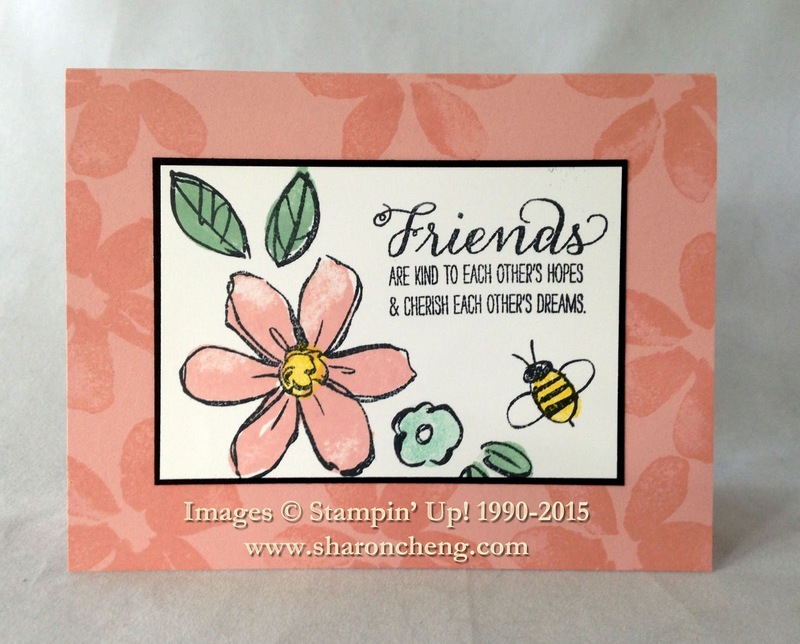 This quick and easy card using Stampin' Up! 's Garden in Bloom stamp set was inspired by a card that I got in our monthly demonstrator swap. After making my first card, I realized that I could put all of the outline stamps on one block. This allowed me to stamp everything at one time which helped things go much faster. I used Tuxedo Black Memento Ink for the outline images. Notice how it looks like each image is colored in? Garden in Bloom is a two-step stamp set. After you stamp the outline, there is a second coordinating stamp to fill in the color. Talk about easy peasy. Here is the tutorial with more details about how I made this card, including the measurements. My stamp club really liked stamping all of the outline images at the same time. And they couldn't believe how easy it was add the color with the two-step stamping. The photopolymer stamps make it quick and easy to line up the stamps. Here is a tutorial with other time-saving tips for making cards.